According to a survey research consisting of nearly 1,500 freelancers, 89.9% of the respondents report they are happier now that they are self-employed. If you’re just getting started with your freelancing career, here are my tips to make sure you’re on the track to success. There are also links to suggested reading resources for each tip. A highly debated point in freelancing is your approach to specialization. Some freelancers exalt the benefits of being a generalist; a person having many skills. But, in my opinion, you should specialize. If you spread yourself too thinly into many things, you will have trouble establishing yourself as an authority for a specific skill or market. On the other hand, you don’t have to look too far to see examples of specialists who have achieved freelancing greatness. David Airey is a graphic designer who has chosen to specialize in logo and brand identity design. He’s written a successful book about logos. He also runs a popular logo design blog. He’s had many opportunities to design the logo of many companies. Building a reputation within your chosen specialty helps you distinguish yourself in that area, which ultimately leads to more projects you will enjoy working on. Your brand is your image — your business persona — and it helps build every potential client’s perception of you the first time you make contact. Establishing your brand and marketing your freelance services are essential activities for gaining more clients. How will clients hire you, if they don’t know you exist? A good idea to keep in mind when marketing yourself is that everything about your online presence should translate to a single, coherent message. If your focus is, for example, creating iOS apps, make sure everything about your brand conveys that. Your brand development should incorporate your authority in your chosen specialization. For instance, you can market yourself as an authority on designing logos for small- to medium-sized businesses, or as a web designer for Internet startups. Guest post on blogs. Write articles related to your specialization. For example, if you specialize in developing iOS apps, you can produce a showcase post of iOS apps or write a list of websites for finding iOS design inspiration. In your author byline, mention your specialization, provide a link to your site, and include your contact info. Create freebies. Either distribute it on your own website or contribute it to a relevant blog with a bigger audience so that your freebie can be seen by more people. Choose to create freebies that demonstrate your ability. Work on a personal project. 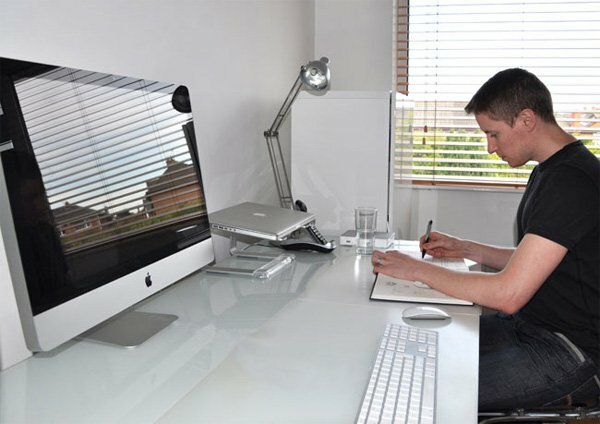 Freelance web developer Ian Lunn cites personal projects as a good way for freelancers to gain exposure. Social media consistency. Make sure you have a consistent visual brand and voice across all of your social networking profiles (Facebook, Twitter, Google+, LinkedIn and so on) to help develop your personal brand. Even though a portfolio isn’t required to start bidding on projects at freelance marketplaces and job boards like ODesk, Elance, and Authentic Jobs, it will be more difficult to land projects if the interested client can’t see examples of your work. Put yourself in an employer’s shoes. How willing would you be to work with someone without being able to see the person’s creative style, skills, taste, and past experience? In general, people want to see what they are committing to before they commit. In hotel-booking websites, we want to see photos of the hotel we are thinking of staying in before we book our room. On eBay, we want to see photos of the item we are interested in before putting in a bid. The good news is it’s easier than ever to create an online portfolio. 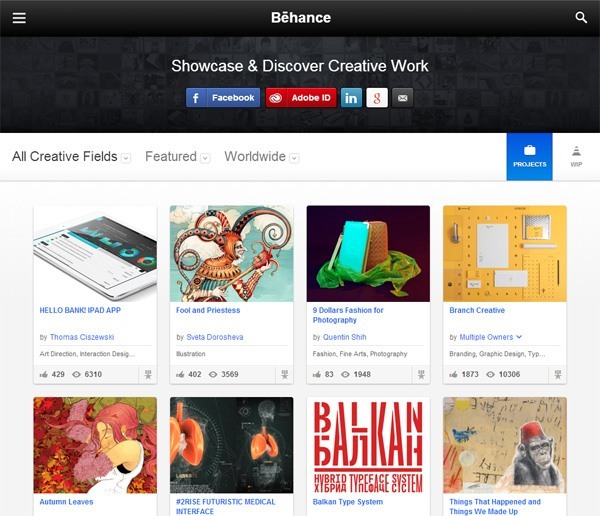 There are many free online portfolio sites you can choose from, such as Behance, Carbonmade, and PortfolioBox. Novice freelancers will have a tough time developing their portfolio because they might not have a lot of previous work experience. It’s like a chicken-or-the-egg problem: You need a portfolio of work to get paid projects, but you need paid projects to create your portfolio of work. Doing unpaid work through pro bono projects is a contentious proposition. That’s because, for some, pro bono work can get dangerously close to spec work. You need to approach pro bono carefully, and in a way that mutually benefits you as well as the project you decide to donate your skills, resources, and time to. I believe one of the most overlooked skills is time management. It’s important to be realistic with your schedule and your capabilities when trying to land freelance projects. Missing deadlines and doing poor-quality work will negatively impact your reputation. Life can suddenly become hectic. Creative work is abundant of unknown variables and uncharted territories. Plan your schedule appropriately and include sufficient time for unanticipated delays, and you will find you’re always delivering on time. Your clients will love you for it. Developing business contacts is a vital part of any entrepreneurial endeavor. Get online and start making contacts: Read blogs in your niche and participate authentically in the comments, get involved in relevant forums and community sites, and engage people in your niche through social media. Soon you’ll start making friends and contacts that you might be able to leverage for advice, collaborative opportunities, and even for getting referral work that your contacts might be too busy to complete themselves. There are many professionals trying to make it in the online freelancing industry. In general, the community is very friendly and eager to provide help. There’s no easy trick to succeeding in online freelancing. The one thing that consistently works is hard work. Specialize, learn to articulate and promote your brand, build your portfolio, consider doing pro bono work if you need more experience, manage your time well, and develop your network — these are a few things you can do to make sure you’re on the right track. When Should You Reject a New Client?